Drivers facing Los Angeles DUI charges may not relate to the high-profile status of the individuals in these recent news stories, but they can certainly relate to their legal situations. On Sunday, July 3, Tuscaloosa police arrested Jarran Reed, Alabama defensive lineman, and charged him with DUI. The North Carolina native recently transferred to Alabama from East Mississippi Community College and had high hopes for receiving playing time in the upcoming season. Unfortunately, Reed isn’t the first Alabama player to face criminal charges since last season ended. Little Rock, Arkansas, police cited another running back, Altee Tenpenny, for possessing a controlled substance back in April. With the disciplinary futures of two of their players currently up in the air, Alabama is likely scrambling to figure out their lineup for the upcoming season. 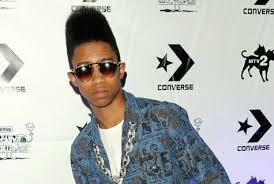 Meanwhile in Calabasas, California, performer Lil Twist recently narrowly escaped DUI charges related to his arrest on July 11, 2013. Although Twist admitted he had been smoking marijuana (the evidence of which remained smoldering next to him) and failed to pass a sobriety test, his THC blood levels were insufficient to classify him as impaired. However, Twist did not walk away from the arrest unscathed. He received citations for running a red light, speeding, and possessing less than one ounce of marijuana. High-profile run-ins with the law involving DUI serve as a reminder to drivers that no one is immune to the consequences of this dangerous act. Although athletes and celebrities seem to receive lesser sentences than their “civilian” counterparts, this is likely due more to the caliber of their legal counsel than to their status. In the state of California, individuals caught driving under the influence face misdemeanor charges with possible penalties including jail time, fines, interlock devices, and license suspensions. With the help of a Los Angeles DUI attorney, defendants stand a better chance of minimizing their sentences while taking responsibility for their actions. To discuss your case in a free consultation, contact the Kraut Law Group today.